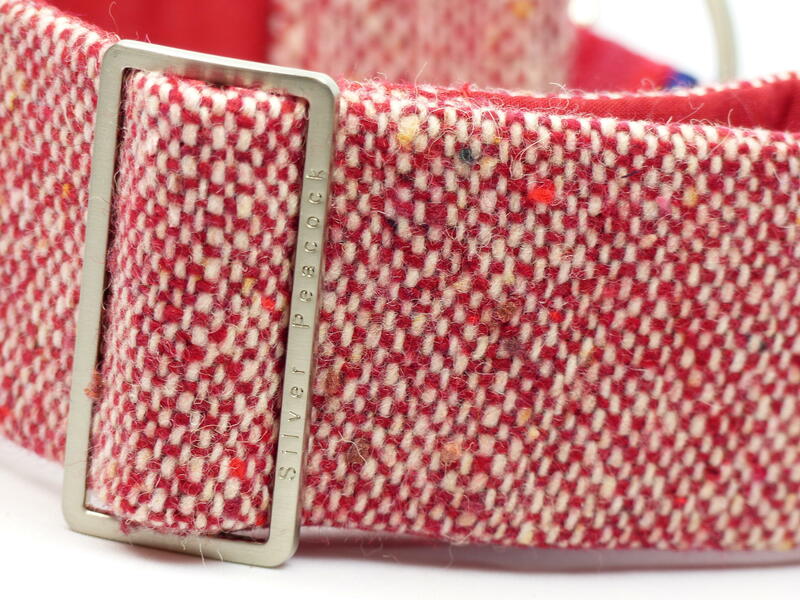 We are always looking for traditional tweeds so were delighted to come across this genuine Donegal tweed. 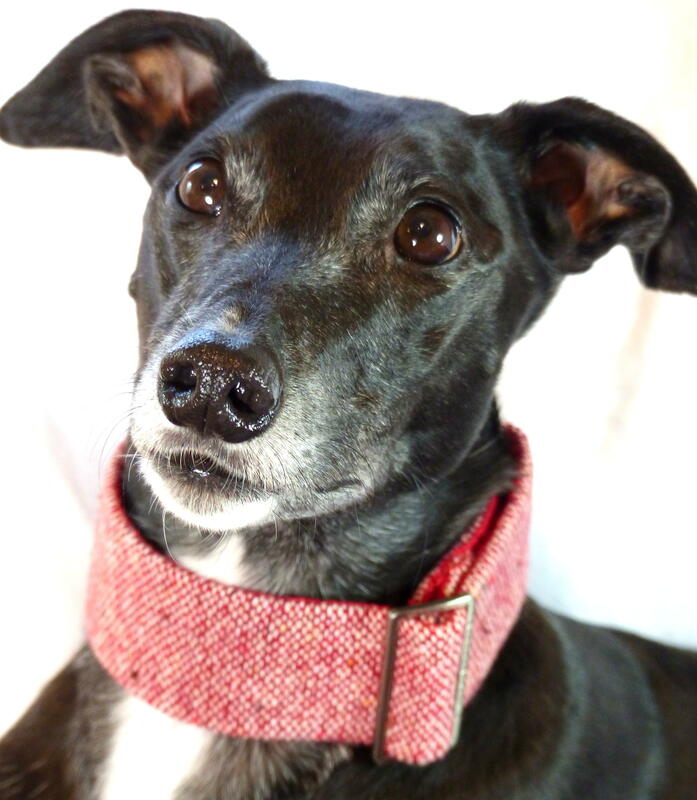 Don't you think it will look stunning on dark coloured hounds? 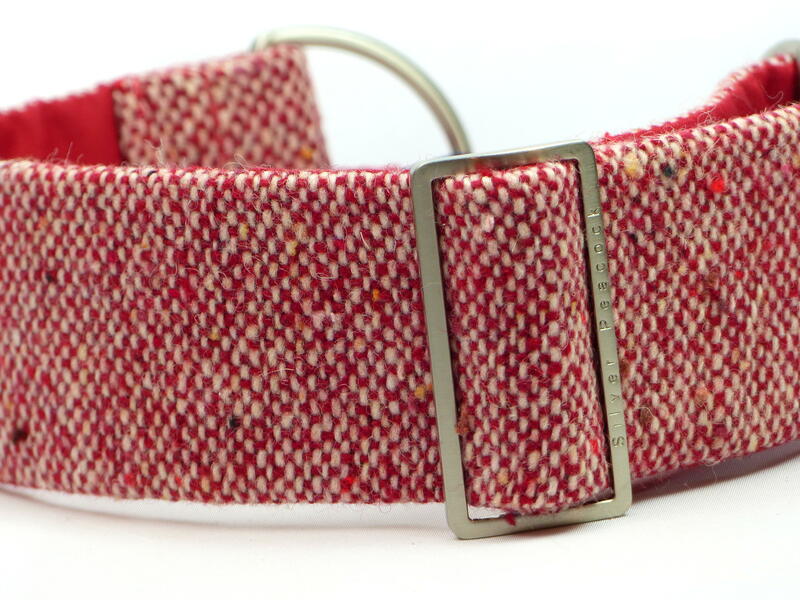 Made from 100% wool, this red and oatmeal Donegal tweed has the typical multicoloured "slubs" that make tweed from this area so identifiable. 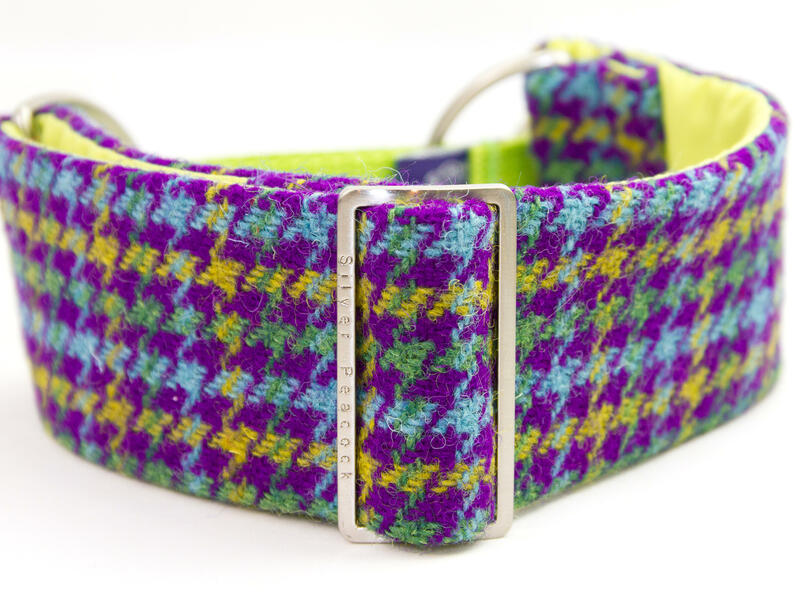 This collar is a lovely vivid colour, and great for both boy and girl hounds. 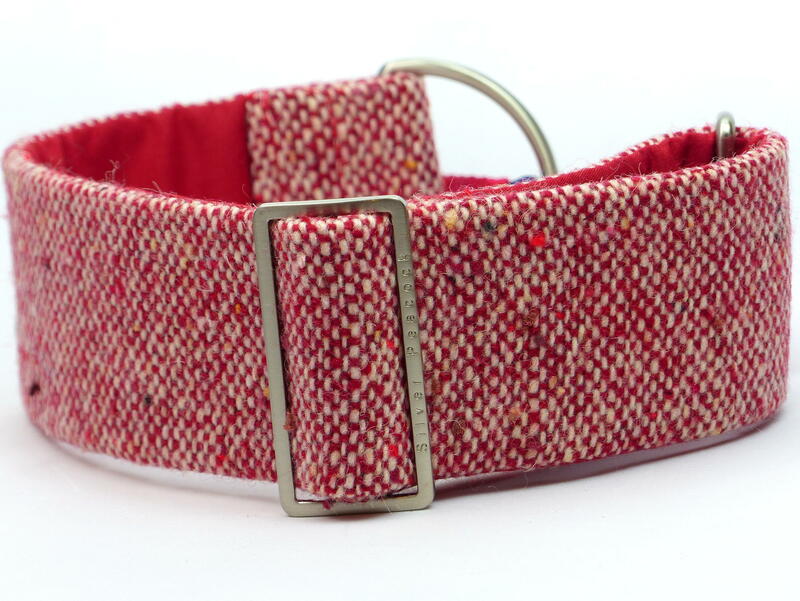 The collar is lined in complementary red fabric and is finished with robust silver coloured hardware and a dark red webbing section.